With Christmas fast approaching, one of the cardinal utensils you need in your kitchen is a set of mixing bowl. 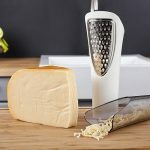 This extremely versatile appliance will help with making salad, sifting ingredients, mixing butter and taking care of many other baking demands. However, the problem begins when you make the decision to buy one. You will find the choices limitless. Mixing bowls often come in sets that differ in size, price, design, material as well as other attributes. It will be incumbent upon you to take each of these differences into account to make the right decision. The process requires extensive and time-consuming research. The good news is that we have come to your rescue by presenting you with in-depth reviews of the best mixing bowls currently in the market. 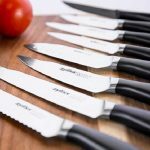 We also intend to provide you with a valuable buying guide with clear-cut information on the major consideration before investing in this wonderful utensil. Featuring graduating sizes of ¾, 1.5, 3, 4, 5 and 8 quartz, the Finedine Stainless Steel Mixing Bowls are great choice for anyone who loves cooking. The set is great for serving fruits salads, adding last ingredients for desserts and marinating for the grill among other applications. Each bowl is perfectly crafted with commercial grade stainless steel and can be used for both mixing and serving. This means the bowls will not stain or absorb food odors. They will also resist rust for years. Each bowl features an easy to grip rounded lip to make handling easy. The incredibly wide rim is cleverly designed to allow contents to flow evenly when pouring while flat base serves to stabilize the silver colored bowls for effortless mixing. The stackable design is great for saving space and improving your kitchen décor. An attractive mirror finish adds to luxurious aesthetics. Even more amazing is the fact that Finedine Stainless Steel Mixing bowl sets are dishwasher, refrigerator, and freezer safe. Thus you will find it easy and quick to prepare meals and clean the sets up. This set of 6 clean and beautiful mixing bowls make a great gift. I highly recommend this product for any serious cook. 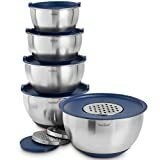 Your kitchen will find a facelift and boosted performance with the VonShef 5-piece Nested Mixing Bowl Set with Lids. Unlike the ordinary sets you find in the market, these bowls are true to quality and performance. They are made of high-grade stainless steel and perfectly designed for whisking eggs, mixing cakes and so on. The bowls are an anti-slip, with bowl covers and feature stackable design to de-clutter your kitchen. The largest sized bowl has a unique design which features a hole in the center of the lid to make it possible to use the bowl in conjunction with a stick/hand blender to provide a nifty hand splash. The hole is provided with a cap so as to cover it for food storage. The smaller blows are wonderful for storing and mixing smaller quantity foods. Like all high-quality mixing bowls, the VonShef 5-Piece Nested Mixing Bowl Set with Lids are dishwasher, freezer, and refrigerator safe. This makes it effortless to clean the bowls and prepare foods. The inside of each bowl is calibrated with common measuring units to make your mixing as easy as possible. Presenting solid quality with stainless steel and BPA-Free Silicon construction, the X-Chef Stainless Steel Mixing Bowl Set with 5 Lids deserves inclusion in our top 10 best mixing bowls currently in the market. The set is rust-resistant, scratch resistant, and anti-aging and features long-lasting durability. They are fitted with non-stick bottom and easy open lids. The lids are made of recyclable safe LDPE #2 plastic. The lids feature inside design which is easy to close and open while the inside of each bowl feature measurement lines to guarantee accurate outcome during mixing. The 5-pieces are stackable to save space and for storage convenience. When it comes to cleaning, the X-Chef mixing bowls are dishwasher safe, refrigerator safe and freezer safe. The stainless steel design means the bowls will not take up odor or stains from food. The 5-different sized pieces are multifunctional. For instance, you can use them to store kids snacks, mix eggs, mix salad and store leftovers (or for on-the-go lunch). It is you to define what you want your set to accomplish for you. The elegant design and optimal performance make the X-Chef Stainless Steel Cooker Mixing Bowls Set with 5 Lids a good gift to send to your loved ones. Bellemain has been in the business of making kitchen utensils for centuries and have managed to maintain high reputation due to the exceptional quality of their products. 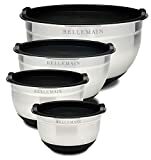 The Bellemain Stainless Steel Non-Slip Mixing Bowls with Lids are testament their reputation. The four-set mixing bowls allow you to measure, mix and store in one and the same container. Each bowl comes with a tight-fitting BPA-free silicone lids so your foods stay fresher for longer. While stainless steel construction is always luxurious and marvelous, the extras such as measurement etched inside each bowl and non-slip silicon coating make Bellemain mixing bowls extremely classy and performance-oriented. The non-slip coating on the bottom of each bow makes you mixing job much easier because it will withstand the vigor of mixing. The excellence of quality presented by these bowls means they can go from freezer or refrigerator to the oven and then to the dishwasher without as much as a scratch on them. This means your bowls will remain to look clean and as good as new for years. You can get a set for Christmas gift to someone you cherish. If you love to add color and versatility to your collection of kitchen utensils then try out Vremi 13-Piece Mixing Bowl Set with Handle. This all-purpose set is great for all your mixing and baking needs. The set includes a small yellow bowl with spout that is great for pouring butter and sauces easy without making a mess. The largest red bowl with non-slip silicone bottom is optimized for mixing needs. You will the nested measuring cups and spoons extremely versatile. All the pieces are stackable to allow for easy storage. The colander, bowls, measuring and sifter and feature lightweight, durable and BPA-free plastic are designed to nest together for storage. Each piece features a snugly handle for secure grip as well as extra maneuverability around the kitchen. 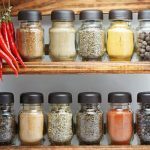 To improve your kitchen décor, each piece presents a different color to make each tool easy to identify and therefore save you time. The Vremi 13 Piece Mixing Bowl Set is great for mixing both dry and wet ingredients with measurements calibrated in the US and metric units. 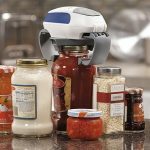 This means you will not have to fetch a measuring cup to measure ingredients but you will still enjoy accurate results. The set is dishwasher safe so cleaning will not be a hassle. KitchenAid is a household name all over the world. Such reputation has resulted from the great quality of their products. If you are looking for the best mixing bowl set to bring home for your mixing and baking needs then you can trust KitchenAid 3-Piece Mixing bowl set. Featuring a classy and luxurious red color, the bowls are great for aesthetics and performance. The set includes a 2-1/2 quart bowl, 3-1/2 quart bowl and a 4-1/2 quart bowl each of which features a non-slip base to boost stability withstand the vigor of mixing. Each has a pour spout to reduce messy spillage when transferring mixes. The bowl set feature stackable design which makes it easy for the pieces to fit inside cabinets or stand beautifully on your kitchen countertop without causing unnecessary cluttering. The KitchenAid 3-Piece Mixing Bowl set is dishwasher safe for easy and fast clean up. The bowls are also made of non-stick material that makes them effortless to clean. In terms of stability, the set is covered by KitchenAid’s lifetime limited warranty and one-year hassle-free replacement in case of manufacturing defect that leads to damage. Made in the US, the Pyrex 8-Piece Smart Essentials Bowl Set is a wonderful choice for mixing bowls to bring home. These sets of colored lids make mixing job quick and flawless. 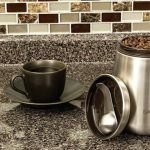 They feature rounded design provides you with the space you need to for your full-range mixing while the lids are optimized for storing or taking your favorite meals on the go. These bowls are made of glass is made of pre-heated glass that is oven and microwave safe. The lids are made of BPA-free silicone and oven and microwave safe. Pyrex glass is engineered not to be porous. This means it will not stain or absorb odors making the set extremely easy to clean and strong. The lids are dishwasher safe. The glass is also refrigerator and freezer free making the set idea for storage in addition to mixing. 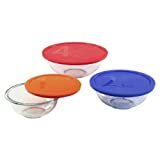 The set includes 1-quart glass mixing bowl with green plastic cover, a (single) 1-1/2 quart glass mixing bowl with orange plastic cover, a (single) 2-1/2 quart glass mixing bowl with blue plastic cover and a single) 4-quart glass mixing bowl with red plastic cover. 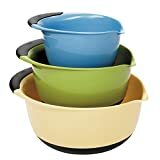 Few mixing bowls can compare with Grips 3-Piece Mixing Bowl set. The set presents you with incredible trio of non-slip mixing bowls that will make a terrific addition to any serious kitchen. 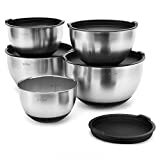 The set includes 1.5-quart, 3-quart and 5-Quart Mixing Bowls that are great for tossing salads, whisking eggs or dressing and serving popcorn among other applications. Even more beautiful is that the 3-quart size bowl can pair with a mixer. Each of the bowls is fitted with non-slip bottom and a soft, comfortable grip. When not in use, the bowls stack beautifully to minimize space wastage and de-clutter your kitchen countertop. Each piece features wide lips and spouts to make pouring contents easy. The bowls feature a non-slip interior coating to ensure food does not stick. All OXO products are perfectly engineered to last so the company offers you lifetime limited warranty so that you have peace of mind even as you use your bowls. The company allows you to return the product for replacement, repair or refund in case of a manufacturing flaw. 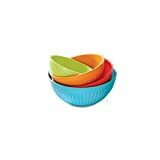 You will absolutely love this set of mixing bowls if you make the purchase. 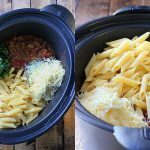 The Joseph Joseph 40031 Nest 9 Nesting Bowls set deserves a position in our top 10 best mixing bowls review for very good reasons. They feature unique space-saving nesting design that allows each piece to be stack nicely and neatly together. 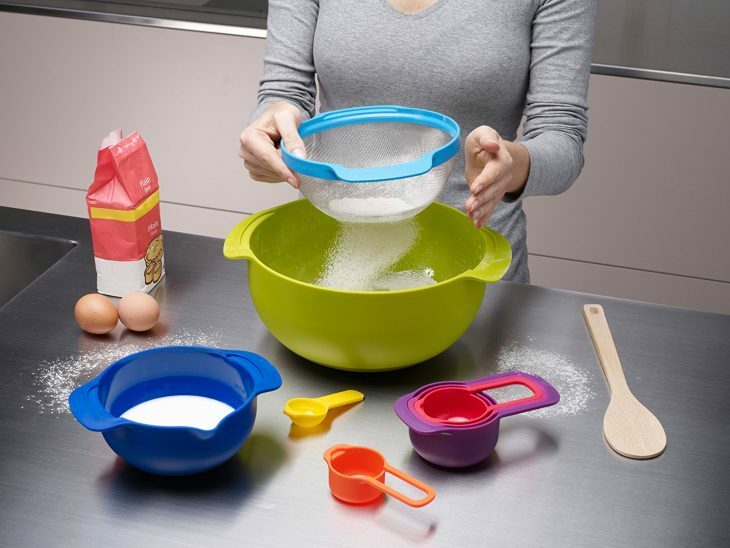 The mixing bowls feature wide non-slip bases, easy-grip handles, and compact, lightweight design. You will also love the new improved stainless steel sieve and a large colander all of which come with the set. 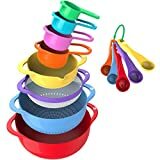 The complete set includes 4.8 quarts (10.5-inch) large mixing bowl, 3.2 quarts (9-inch) colander, 1.75 quarts (7.5-inch) steel sieve strainer, 0.5 quarts (6-inch) small mixing bowl with measurements, one cup, half cup, a third cup, quarter cup measuring cups and one tablespoon. In other words, you will get a complete collection of your food preparation items if you choose to buy this set from Joseph Joseph. Each of the pieces is made of BPA-free polypropylene plastic that is strong, durable and non-toxic. The bowls are, however, not safe for use in microwaves. It is also good to note that all pieces except the stainless steel sieve strainer are dishwasher safe. 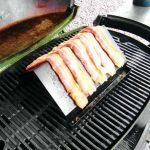 This product form a great set for gifting, RV camping, new home cooks, bakers as well as small kitchens. The last but not least mixing bowl in our review is the Nordic Ware 4-Piece Prep N Serve Mixing Bowl set. Nordic Ware is a US family company that has been in operation since 1946 and this gives them an admirable credibility. The set includes one each 7-quart, 5-quart, 3.5-quart and 2-quart bowls that are perfect for mixing and serving. Each of the bowls is fitted with a non-skid base to withstand the vigor of mixing and preventing accidental slips from the kitchen countertop. The pieces are designed to be stackable for easy storage and de-cluttering. They are also lightweight each being made from heavy-duty BPA-free plastic that is strong and durable. 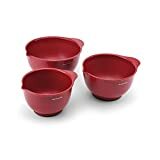 Nordic Ware 4-Piece Prep N Serving Mixing Bowl Set is dishwasher and microwave safe making them extremely easy to use and clean. They are guaranteed unbreakable and scratch resistant and covered by Nordic Ware limited warranty against manufacturing defects. This set makes a good gift for your loved one and easy carry for on-the-go lunch. If you buy this bowl, you will enjoy good value for your investment. It is hard to make a good choice without having first-hand information on what constitutes a good mixing bowl. Due to different tastes and preferences among the general public, we believe some people might have failed to find their taste from the above reviews. If you belong in this group then you do not have to worry. Here are the most important factors to consider in making an informed choice. The first thing to keep in mind when shopping for the best mixing bowl is the material used in their construction. The common materials include stainless steel, ceramic, plastic, glass, silicon and even wood (bamboo). Each of these materials has advantages and disadvantages but the best quality mixing bowls are made of stainless steel or glass. Your guiding factor should be what you intend your bowl to do. 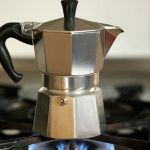 For instance, stainless steel, glass, and silicon are heat resistant and can be used in the oven or microwave. Conversely, plastic or wooden mixing bowls cannot be used in an oven. Another important consideration is the pieces in each set since most mixing bowls come in sets. The different pieces in each set add to the versatility of the bowl. For example, some sets have sieve strainers, measuring cups and spoons to help with accurate measurements making them complete prep sets. Depending on your desires, choose a set that has all the components that will make your work easier. Mixing bowls come in various designs and colors. The design may have bearing on the functionality and aesthetics of the bowls. High-quality bowls feature non-slip bases to improve stability needed to withstand the vigor of mixing. They also feature stackable design that makes storage in cabinet as well as other tight spaces easy. Other features of design to look for include non-stick coating, pour spout, easy open lids, calibrations, and handles. A good mixing bowl should be easy to clean. Thankfully, most manufacturers are taking this matter seriously. Therefore, they make mixing bowls that are dishwasher safe and feature non-stick coating. Besides, most materials are stainless and therefore easy to clean. Buying a mixing bowl set is an important step in making your kitchen effective, versatile and complete. However, it should not just be any set you find on the market. The set must be strong, durable, well-designed and able to match your needs. We have just provided you with helpful reviews of the top 10 best mixing bowls as well as a buying guide. If you use the information well, nothing will stop you from finding the best set currently on the market at good value. Furthermore, you can find the best gift to give to your loved one these coming festivities.